We made quite a few changes today regarding our personal finances and I wanted to write a quick post about it because I think it’s really important for all of us to keep talking about what works and what doesn’t. While I am not counting this as one of my tips, we did refinance our mortgage this morning. We went down from a 30 year to a 15 which also cut our rate significantly. We also didn’t take out any extra money even though we had the opportunity to do so. Every ounce of my body was itching to take out enough money for all of us to go to Japan, but that would have been irresponsible of us. Doesn’t take away the fact that I was crying on the inside as I was signing away the opportunity. LOL! 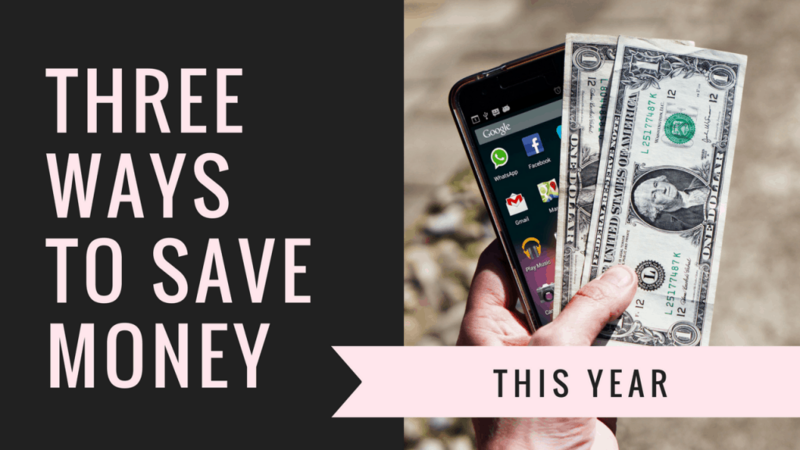 But in all seriousness, here are three super easy ways you can save money this year. Loved your video! Always a great reminder to try and reduce expenses. I recently wrote a blog on the topic too (http://www.momlove101.com/2018/01/24/rich-mom-with-no-money/). I am a newbie and your blog is inspirational! Please check it out!